Some children and youth become involved with the juvenile justice system because they are accused of committing a delinquent or criminal act. Other youth come into contact with the system for status offenses—actions that are illegal only because of a youth’s age—such as truancy, underage drinking, and running away from home. Not all of these cases, however, are formally processed through the courts. The active involvement of parents – whether as recipients, extenders, or managers of services – during their youth’s experience with the juvenile justice system is widely assumed to be crucial. Youth involved with the juvenile justice system often have mental health and/or substance abuse problems. These typically affect their academic performance, behavior, and relationships with peers and adults. 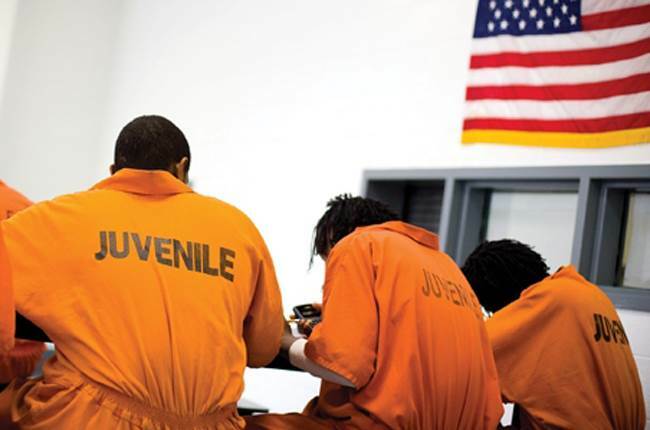 Many youth who come into contact with the juvenile justice system have experienced academic failure, disengagement from school, and/or school disciplinary problems. Academic outcomes for these youth are generally less positive than those of youth who do not come into contact with the system. A report from the Jacksonville-based Delores Barr Weaver Policy Center, identified 11 common experiences that specifically incarcerated girls had gone through, including homelessness, foster-care placement, pregnancy, loss of family members, running away, suspension and substance abuse. Though many of these experiences intersect with incarcerated boys as well. Discover how grief and loss can push female teens into the Juvenile Justice System in an article published by The Florida Times-Union. At the epicenter of issues for many in the Juvenile Justice System are grief and loss. Often times the grief goes untreated but the impact of loss then can show up in a variety of ways, including running away, acting out, becoming withdrawn or turning to substance abuse. The way institutions such as schools, child protection agencies, and the juvenile justice system respond to a child, teen, and young adults’ grief can further their feelings of disconnection from their community. Suspension disconnects them from school. Foster-care placement disconnects them more from their family. A residential placement further disconnects them from their community. Children, teens, and young adults in the system need to be first and foremost, seen as the youth that they are. Seeing them as youth who have existing strengths, assets, and wisdom; youth with major life stressors and trauma histories; with survival and coping skills, some of which are unsafe, unhealthy, and illegal, and some of which are healthy, safe, and creative. Listen to them, hear what they say without judging, assigning motivation, feeling the need to agree or disagree with them, or questioning authenticity. Let them know you care about them, even when they make mistakes and demonstrate poor decision making—remind them that we all make mistakes. Dehumanization is the psychological process of demonizing the enemy, making them seem less than human and hence not worthy of humane treatment. This can lead to increased isolation and violence. Acknowledge their strengths and skills—help them to use these in pro–social ways. Acknowledge and praise their efforts and the good things they do no matter how small. Don’t buy into the resistance—oftentimes when they are acting “tough” and as if they don’t care, this is a smoke screen for fear, confusion, and feelings of hurt and shame. Don’t take what they say and do personally. Be respectful and “real” with them; don’t withhold important information to “protect” them. Ask them what they need and what is in their best interest. Check out this project funded by the Substance Abuse and Mental Health Services Administration, U.S. Department of Health and Human Services”Trauma-Focused Interventions for Youth in the Juvenile Justice System” From the National Child Traumatic Stress Network Juvenile Justice Working Group. Where they review trauma focused, family-based, and group-based interventions that show promise for use with youth in the juvenile justice system. Read “Engaging Juvenile Justice System- Involved Families” by Antoinette Davis, Angela Irvine, and Jason Ziedenberg about engaging families and communities in a restorative manner. Child Welfare League of America Juvenile Justice Division Works to increase awareness of the connection between child maltreatment and juvenile delinquency and the need for an integrated approach to programs and services across the child welfare and juvenile justice systems. Young people with a prisoner in the family often suffer loneliness, humiliation, and stigmatization which may lead to varying forms of grief. Become a member of The American Academy of Bereavement today to find more resources on grief.